Authorities in Washington state are searching for Sky Metalwala, 2, who vanished after his mother’s car ran out of gas and she left him in the vehicle while she went for help. Yesterday more than 50 searchers, including police and canine teams, combed wooded areas until nightfall near Bellevue, for several hours on Sunday, looking for the toddler. The toddler’s mother, told police she had left the boy buckled into his car seat inside the unlocked car while she and her 4-year-old child walked to a gas station. Once she reached the station, she called a friend, who picked her up and drove her back to her stranded Acura, where she found her son was gone. Reports state that the child was left unattended and by himself for approximately an hour. When Police arrived they did not find a gas can, a point that cast some doubt the mother’s story. The investigation was being treated as a missing-person case, not a kidnapping. 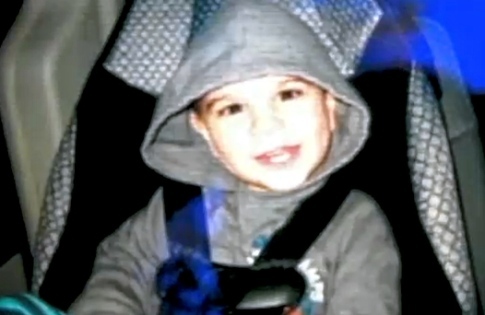 The boy is described as having brown eyes and closely buzzed brown hair. He was wearing a green sweatshirt and blue-and-gray striped pants. Who takes one and leaves the other? I don’t know anyone who would leave a 2-year-old in a car while they were gone for such a long period of time. It’s ridiculous. Heck, I can’t leave my 2-year-old for longer than 30 seconds. Something about this just doesn’t sit right with me. The FBI has now joined the investigation. Anyone with information on the boy’s whereabouts is being urged to call 911.